When you drop by your local Walmart, you are witnessing one of history’s greatest logistical and operational triumphs. According to Supply Chain Digest, this global retail giant operates more than 11,700 stores under 59 company names, with 2.3 million employees in 28 countries around the world while managing an average of $32 billion in inventory. With these kinds of numbers, having an effective and efficient supply chain management strategy and system is imperative. The entire organization is committed to a business model of driving costs out of supply chains to enable consumers to save money and live better. Are you looking to expand your retail business? 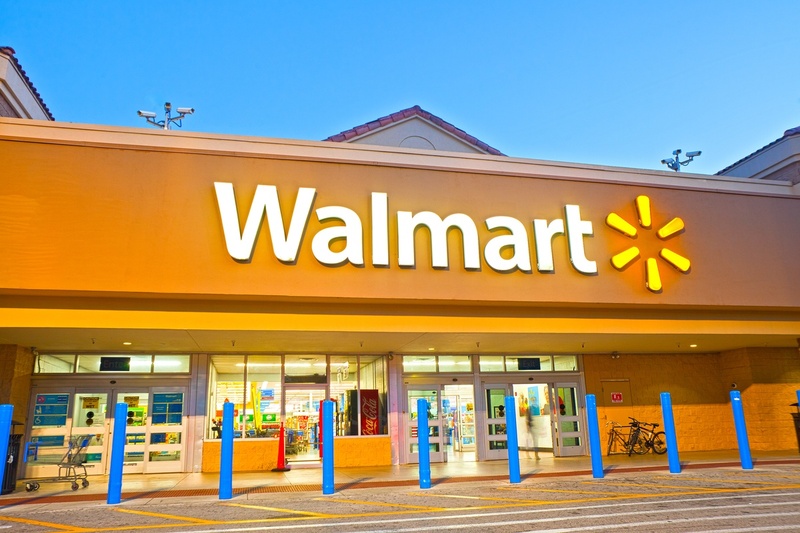 Over the past twenty years, Walmart has become the world’s largest and arguably most powerful retailer with the highest sales per square foot, inventory turnover, and operating profit of any discount retailer. You only have to look at Walmart stock history stats to see the success and influence it has had in the retail space. In its transition from regional retailer to global powerhouse, the organization has become synonymous with the concept of successful supply chain management. Walmart began with the goal to provide customers with the goods they wanted, whenever and wherever they wanted them. The company then focused on developing cost structures that allowed it to offer everyday low pricing. 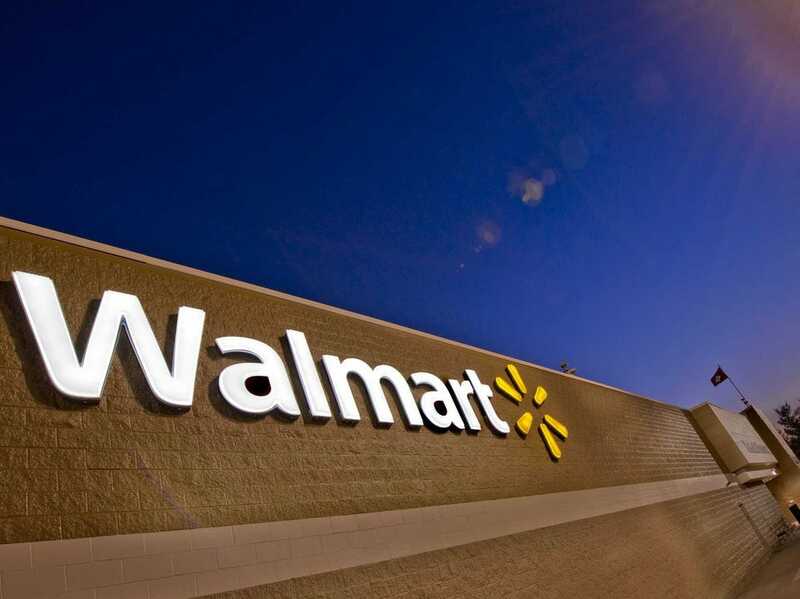 Next, Walmart concentrated on developing a more highly structured and advanced supply chain management strategy to exploit and enhance this competitive advantage and assume market leadership position. 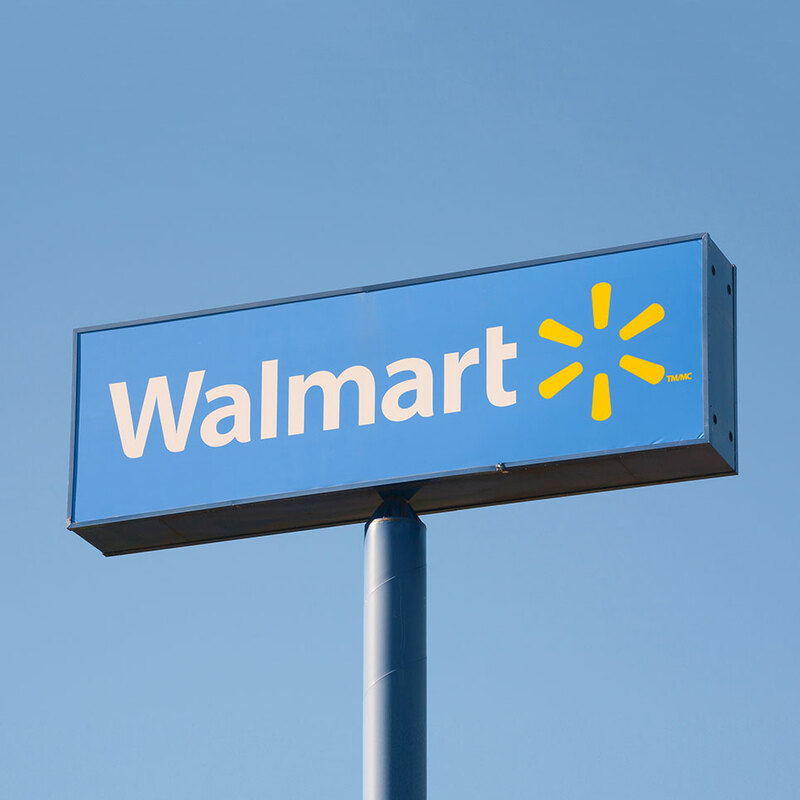 Even in its early years, Walmart’s supply chain management contributed to its success. Walmart’s supply chain innovation began with the company removing a few of the chain’s links, right from the very beginning. Founder Sam Walton, who owned several Ben Franklin franchise stores before opening the first Walmart in Rogers, Arkansas in 1962, selectively purchased bulk merchandise and transported it directly to his stores. Later, in the 1980s, Walmart began working directly with manufacturers to cut costs and more efficiently manage the supply chain. Under a Walmart’s supply chain initiative – called Vendor Managed Inventory (VMI) – manufacturers became responsible for managing their products in Walmart’s warehouses. As a result, Walmart was able to expect close to 100% order fulfillment on merchandise. In 1989, Walmart was named Retailer of the Decade, with distribution costs estimated at a mere 1.7% of its cost of sales – far superior to competitors like Kmart (3.5%) and Sears (5%). The company’s supply chain has only become more effective since then. Walmart has long practiced strategic sourcing to find products at the best price from suppliers who are in a position to ensure they can meet demand. The company then establishes strategic partnerships with most of their vendors, offering them the potential for long-term and high volume purchases in exchange for the lowest possible prices. Furthermore, Walmart streamlined supply chain management by constructing communication and relationship networks with suppliers to improve material flow with lower inventories. The network of global suppliers, warehouses, and retail stores has been described as behaving almost like a single firm. 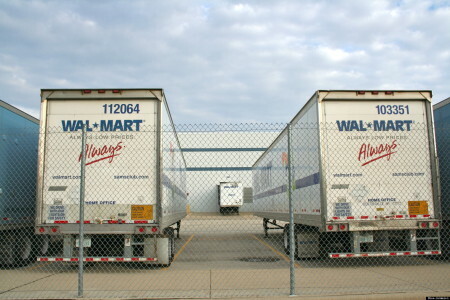 Cross-docking is a logistics practice that is the centrepiece of Walmart’s strategy to replenish inventory efficiently. It means the direct transfer of products from inbound or outbound truck trailers without the need for extra storage, by unloading items from an incoming semi-trailer truck or railroad car and loading these materials directly into outbound trucks, trailers, or rail cars (and vice versa), with no storage in between. Suppliers have been delivering products to Walmart’s distribution centers where the product is cross-docked and then delivered to Walmart stores. Cross-docking keeps inventory and transportation costs down, reduces transportation time, and eliminates inefficiencies. Walmart’s truck fleet of drivers continuously deliver goods to distribution centers (located an average 130 miles from the store), where they are stored, repackaged and distributed without sitting in storage. 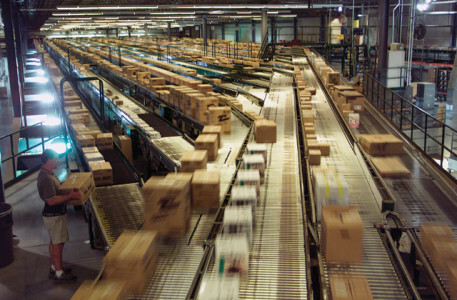 Goods will cross from one loading dock to another, usually in 24 hours or less, and company trucks that would otherwise return empty “backhaul” unsold merchandise. This strategy has reduced Walmart’s costs significantly, allowing the company to pass those savings on to their customers with highly competitive pricing. In its relentless pursuit of low consumer prices, Walmart embraced and invested in technology to become an innovator in the way stores track inventory and restock their shelves, thus allowing them to cut costs. In 2015, the company spent a reported $10.5 billion on information technology and has also invested significantly in improving their eCommerce capability. Technology plays a key role in Walmart’s supply chain, serving as the foundation of their supply chain strategy. 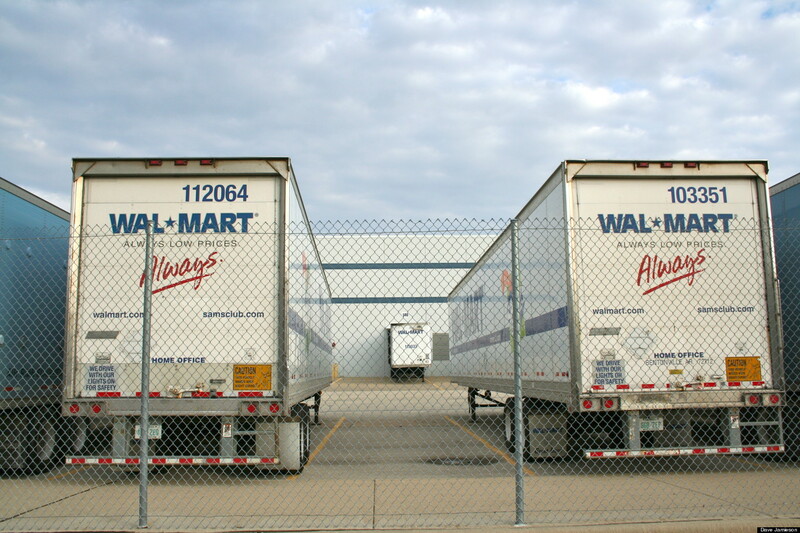 Walmart has the largest information technology infrastructure of any private company in the world, and it is this state-of-the-art technology and network design that allows Walmart to accurately forecast demand, track and predict inventory levels, create highly efficient transportation routes, manage customer relationships, and service response logistics. For example, Walmart implemented the first company-wide use of Universal Product Code (barcodes) in 1983, through which store level information was immediately collected and analyzed. Later, Walmart leveraged this now-everyday technology into a further innovation: Savings Catcher, which allows consumers to scan product barcodes on their smartphones to compare best prices. The company then devised Retail Link, a mammoth database. Through a global satellite system, Retail Link is connected to analysts who forecast supplier demands to the supplier network, which displays real-time sales data from cash registers and to Walmart’s distribution centers. Suppliers and manufacturers within the supply chain synchronize their demand projections under a collaborative planning, forecasting and replenishment scheme, and every link in the chain is connected through technology that includes a central database, store-level point-of-sale systems, and a satellite network. What made Walmart so innovative was that it had been sharing all this information with their partners. Back in the day, a lot of companies weren’t doing that, but rather using third-party services where they had to pay for the information. Walmart’s approach allows for frequent, informal cooperation among stores, distribution centers and suppliers, and less centralized control. Furthermore, the company’s supply chain, by tracking customer purchases and demand, allows consumers to effectively pull merchandise to stores through demand, rather than having the company push goods onto shelves. In recent years, Walmart has used radio frequency identification tags (RFID), which use numerical codes that can be scanned from a distance to track pallets of merchandise moving along the supply chain. As inventory must be handled by both Walmart and its suppliers, Walmart has encouraged its suppliers to use RFID technology as well. Even more recently, the company has begun using smart tags, read by a handheld scanner, that allow employees to quickly learn which items need to be replaced so that shelves are consistently stocked and inventory is closely watched. According to researchers at the University of Arkansas, there has been a 16% reduction in out-of-stocks since Walmart introduced RFID technology into its supply chain. The researchers also pointed out that the products using an electronic product code were replenished three times as fast as items that only used barcode technology. In addition, Walmart also networked its suppliers through computers. It entered into collaboration with P&G for maintaining the inventory in its stores and built an automated re-ordering system, which linked all computers between the P&G factory through a satellite communication system. P&G then delivered the item either to a Walmart distribution center or directly to the concerned stores. And it’s not just high-tech innovation that Walmart innovates on: last year, Walmart announced the trial of a new system to manage its stock, called Top Stock, in which the top shelves are utilized for more storage, freeing up back rooms. This move is designed to get products on the shelves sooner, creating more space for fulfilling online delivery orders and allowing more visibility of stock levels for both staff and customers. The move also means that customers don’t have to wait to find a staff member to track down an item they don’t see on a shelf. Walmart’s supply chain management strategy has provided the company with several sustainable competitive advantages, including lower product costs, reduced inventory carrying costs, improved in-store variety and selection, and highly competitive pricing for the consumer. This strategy has helped Walmart become a dominant force in a competitive global market. As technology evolves, Walmart continues to focus on innovative processes and systems to improve its supply chain and achieve greater efficiency. A close look at Walmart’s supply chain and inventory operations definitely provides valuable learning points that businesses can take and apply to their own operations. Even Army Col. Vernon L. Beatty, who commanded the Defense Distribution Depot in Kuwait, spent a year with Walmart as part of the military’s Training With Industry program. 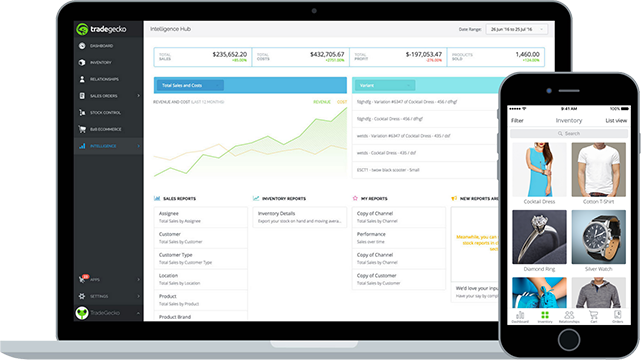 Looking for an effortless inventory management solution?